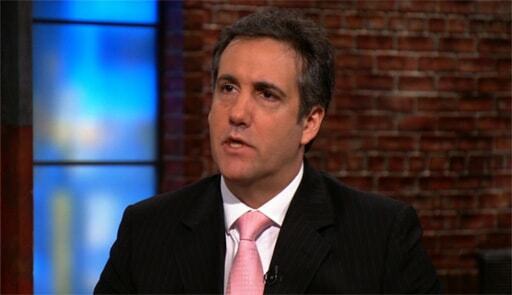 MSNBC news anchor reports that Michael Cohen, longtime attorney and "fixer" for Donald Trump, expects to be arrested any time now. Lawyers at the Southern District of New York have reportedly called Cohen’s attorneys, saying they were “preparing paperwork” to arrest Cohen. It was reported earlier today that his legal team has quit and Cohen could flip on Trump. Mr. Cohen has not yet been contacted by the prosecutors who are conducting the inquiry, according to two people briefed on the case. But as the investigation widens, and with Mr. Cohen’s legal team in turmoil, the chances increase that Mr. Cohen could cooperate with prosecutors, as first reported by ABC News. On April 9, federal agents descended on Mr. Cohen’s office, apartment and hotel room, hauling away reams of paperwork and files from about 30 cellphones, iPads and computers. For several months, the prosecutors have been looking into whether Mr. Cohen broke the law in any business projects, including hush-money payments he made to women who claim they had affairs with Mr. Trump. Mr. Trump’s lawyers have resigned themselves to the strong possibility that this investigation could lead Mr. Cohen to cooperate with prosecutors. Check out Katy Tur's report below.